Since 2017, the situation in Syria has been stabilising in favour of the government in Damascus. Among the strategic population centres, only the province of Idlib (2.5 million inhabitants and controlled by both moderate opposition and militias associated with Al Qaeda) and the territory east of the Euphrates, controlled by the Kurdish-Arab coalition, remain to be retaken by the regime army. The Syrians in Idlib are partially supported by Turkey while the Kurds in the northeast are backed by the U.S. and the international anti-Islamic State (IS) coalition. Out of the two territories, Damascus’s first goal will be Idlib; the Russians and Turks are negotiating a peaceful takeover, although a violent one is equally possible. 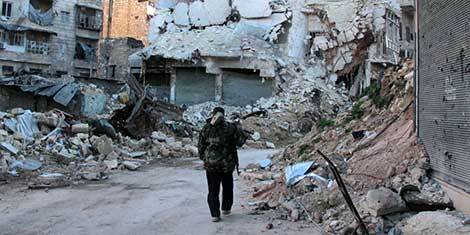 It cannot be ruled out that the U.S. will accept the Syrian regime’s victory. It signalled its acquiescence when it did not react to the Syrian army’s breach of the U.S.-Russia-Jordan agreement of July 2017, under which Deraa, Quneitra and Suweida, would be excluded from military operations. At the end of June 2018, these towns were re-taken by the Syrian regime. In return for the U.S. agreeing that Syrian President Bashar al-Assad stays in power, Russia could agree to curb the Iranian military presence in Syria. Iran might acquiesce to that if it is guaranteed commensurate involvement in the reconstruction of Syria and is allowed to maintain political influence in the country. Russia’s short-term goal is the acquisition of funds for the government in Damascus and the propagation of the impression that the situation in Syria is being “normalised”. This, in turn, is meant to convince the Americans to withdraw some 2,000 of its troops from Syria and the Europeans to deem the Syrian refugee problem under control. If Russia succeeds in this, it will be a big step closer to its strategic goal of building up the argument to drop sanctions imposed on it since 2014. As well, Russia is sure to secure the lucrative portion of Syria’s reconstruction. Syria thus has entered the final stage of the conflict, one in which military action will be dominated by diplomacy: intra-Syrian peace negotiations (including the shape of Syria’s future political system) and rivalries over the plans for and engagement in Syria’s reconstruction. Since the end of 2011, there have been attempts to end the conflict in Syria. Initially, the main track of the talks ran in Geneva under UN auspices. As a result of the direct military involvement of Russia, Iran, and Turkey in Syria, the intra-Syrian negotiations facilitated by these three countries have been conducted in parallel since 2016 (the so-called “Astana process”). The two tracks of talks cannot be complementary since the interest in the Geneva process of the parties in conflict lessened significantly when the Astana process was activated. Staffan de Mistura, the special UN envoy for Syria responsible for the Geneva process, has to closely cooperate with representatives of Russia, Iran, and Turkey, thus legitimising the Astana process. Currently, his goal is to reach agreement on the makeup of the Syrian constitutional committee, comprising 50 members, which would be tasked with initiating debate on Syria’s post-war constitution. So far, the regime in Damascus has proposed 50 candidates while Turkey, on behalf of the opposition, has proposed 50 others. Thanks to his strong negotiation position, Assad will demand that he gets the majority on the committee, which would allow him to control its work, including shaping Syria’s future political system. When an agreement on ending the war is in place, the problem of establishing guilt for war crimes will be closed and, most likely, no party to the conflict will be held responsible. For third parties, the reconstruction of Syria will be a new field of rivalry, both in terms of humanitarian aid and in rebuilding Syria’s infrastructure. The EU is ready to help Syria the most. At the Supporting the Future of Syria conference in Brussels in April, the EU and individual Member States declared they were prepared to spend €4.8 billion by 2020 on this goal. In the current situation in Syria, this support cannot be given without Russian, Iranian, or Damascus’s mediation. In August, France decided to cooperate with Russia: 44 tonnes pf medical equipment, blankets, and tents worth €500,000 was flown to the Russian airbase in Hmeimim, Syria. According to French diplomats, the aid was to be distributed by the UN, which in turn denied it would be involved. Eventually, the Syrian Red Crescent distributed the aid in Douma, outside of Damascus. The French-Russian cooperation was to be a test of trust for the sake of future projects. The Russians are intensely trying to get the EU and its Member States involved in the reconstruction, arguing that it would help Syrian refugees return home. Since the beginning of this year, only 13,000 of them have returned from neighbouring countries, with most fearing persecution for having fled. The chances for transparency in the reconstruction are slim. Given the probability of corruption, it is highly likely that reconstruction contracts will be doled out for political reasons and funds embezzled by Syrian administrators. The Syrian authorities claimed to have begun restoring the country in 2016, as part of their propaganda efforts: they initiated the Damascus reconstruction project, which was to symbolise the rebuilding of the whole country. At its core, however, was the expropriation of land from their inhabitants for a symbolic refund, paid with delay, and the exclusion of poorer Syrians from the newly built modern districts. This deepens class differences in the country and does not mitigate the effects of the war. In April, the government issued Decree No. 10, which obliges the people living in towns that are being rebuilt to document ownership of their property. For those who fail to do so, their property (real estate) will be expropriated. More than 10 million Syrians have left their motherland and only half of Syrian households had deeds before the war, with many of these documents destroyed in the war. Therefore, it is possible that the Syrian government, using Decree No. 10, will manage to expropriate large portions of Syrian cities and make them available to foreign developers for reconstruction. Soon, Syrian lands will be divided into territories controlled by the regime in Damascus and those under the control of the Kurds, who are being helped by the U.S. as long as they are needed to defeat IS. Peace negotiations in Syria have not been successful. The Syrian war is coming to an end because one of the parties has won it militarily, not because of the talks. The negotiations are therefore becoming a diplomatic trap: they could be used to legitimise Assad’s military victory and the country’s undemocratic system. This trap is particularly dangerous for the EU and the UN, both involved in the negotiations. If Syrian authorities are not brought to justice for war crimes and the efforts to bring them to justice fail, the Syrian government, should be met, along with sanctions, with international ostracism, at least from the EU. As much as possible, EU Member States should help the needy in the territories under Assad’s control directly, either through the UN or known and reliable local partners, without Russian help or that of regime-related intermediaries. Sometimes, cooperation with Russia will be necessary. If Russia becomes in effect an EU subcontractor (which is Russia’s intention), it must guarantee the safety of returning refugees, respect their decisions as voluntary, provide decent conditions for their return and sustainability once back in Syria. Establishing a formal legal obligation on the part of Russia will not guarantee its realisation but it can be a tool of political pressure on Russia and should be part of any final agreement concerning Syria. This would allow the EU and UN to sponsor such an agreement with a lesser risk of losing credibility. When it comes to the reconstruction plans, they most likely will be extremely unjust and politicised. The risk of economic and political failure is so high that the EU and its Member States should not ponder financing reconstruction of infrastructure that will not contribute to increasing the overall welfare of the Syrian population. Dr. Patrycja Sasnal is the head of the Middle East and North Africa Programme at the Polish Institute of International Affairs (PISM). She is also a member of the advisory expert council on migration at the Polish Ombudsman’s Office.